You may think that the biggest benefit of eating together as a family is to ensure everyone has food in their stomachs. However, sharing meals does more than feed each person physically; it also feeds them emotionally and draws them together. Family meals allow conversations to take place. Simply being together and chatting about the day can be enough to help you stay connected with other family members. No matter which meals you eat together, you’ll appreciate having the opportunity to find out what’s going on in each person’s life. Assign each person in the family a task to help prepare the meals. There’s no reason why you should have to do all of the cooking if others can pitch in. You might also find that some of the best conversations happen as you’re preparing a meal together. Find tasks for even the youngest of the family. Preparing and serving your meals at roughly the same time each day will encourage a sense of routine in your home. Your family will come to know that if it’s close to 5:30 P.M. they need to be getting home or risk missing dinner. Having meals around the same time each day also discourages snacking or in-between meal eating. Ask about each person’s day. Teach your child that speaking up is important and that you are truly interested in what they have to say. Allow each person time to talk and you’ll soon find your children are eagerly waiting for their turn. Encouraging your children to talk during dinner may also help them express opinions and share their experiences. Use the time you spend as a family around the table to talk about what’s going on in the news. Find out what each person thinks about a particular topic. Take the time to let everyone have a turn to share their thoughts and you’ll learn more about the members of your family. Preparing and sharing meals together is also a good way to influence what your children eat. Talk about why certain foods were served and what better choices could have been made. Talk about how foods provide nourishment and why it is important to refrain from eating too many refined and sweet foods. Children who share meals with their family have been shown to do better in school. Part of the reason is because the food they’re served is more nutritious than what can be purchased through any fast food drive thru. Having parents ask about what’s going on at school also encourages them to do better and handle problems that arise at school in an appropriate manner. You may also be surprised to know that sharing meals together can cut down on the chances that your child will become involved with drugs or alcohol. When teens get involved in things they shouldn’t, it’s usually because they’re trying to get their parents’ attention. Children who eat meals with their family already have the attention they desire. 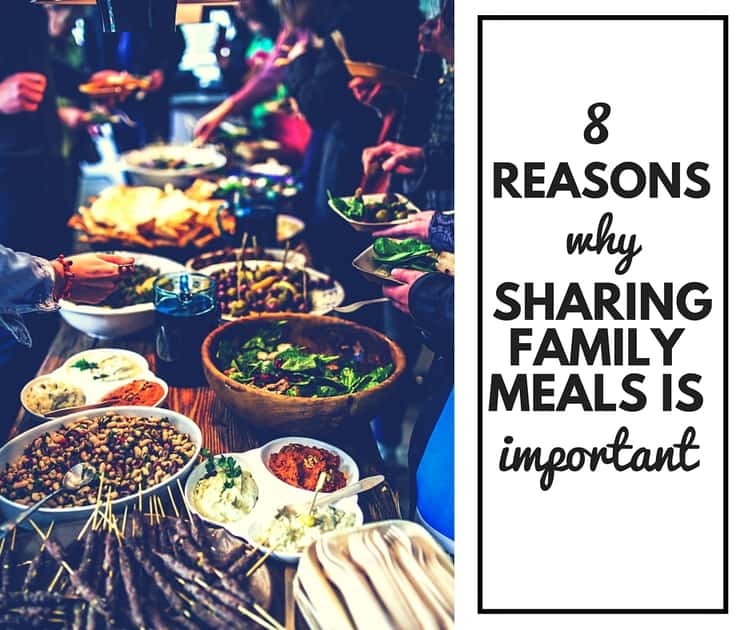 Who knew sharing meals could be so important? By eating together regularly you can help your child excel in school, help keep them off drugs and stay connected with them. You can also encourage them and aid them in making wise food choices.